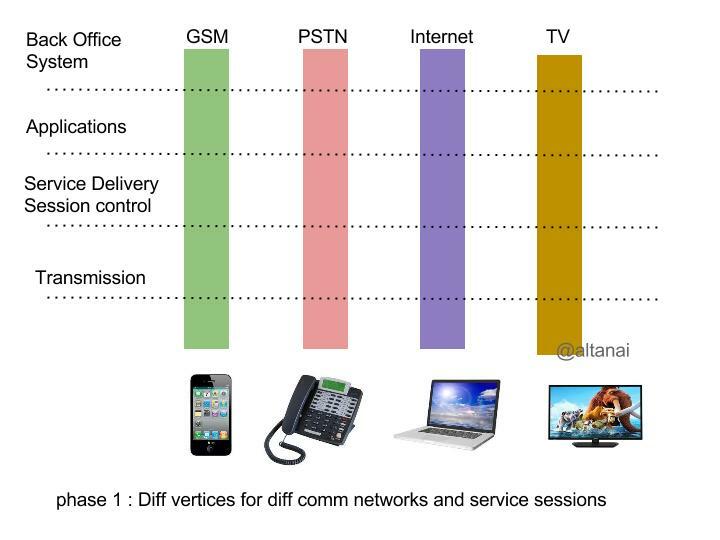 Market trends are really not in favor of Telecom Service /providers with increasing use of OTT ( Over The Top ) application like watsapp , Facebook messenger , Google hangouts , skype , viber , etc . 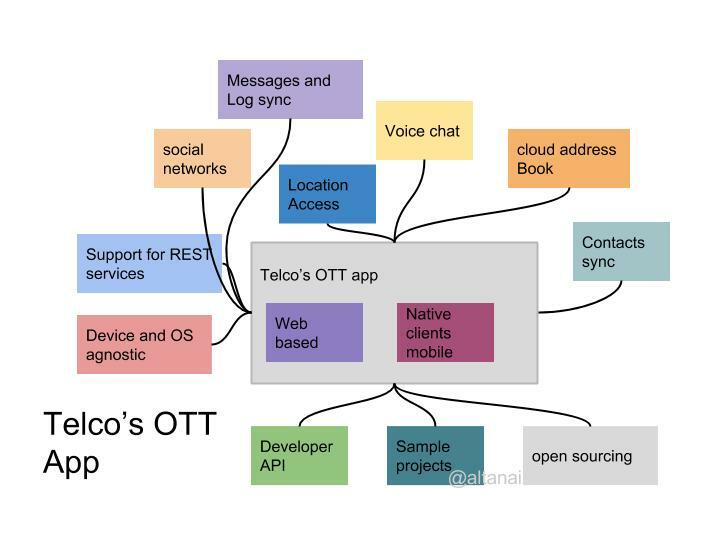 What is an OTT ? An Over The Top ( OTT ) application is one which provides communication services over Internet . Therefore these bypass the communication billing system setup by a Telecom Operator , resulting in no gain or loss of revenue to Telecom Operator who is providing the Internet service to user in first place . Hence we see that OTT are major threat and concern for Telecom Operators whose traditional and obviously expensive ( when compared to OTTs free service ) billing models are facing disruption . Such telecom regulatory bodies get to decide whether to enforce differential price to end consumers for using OTT so that telecom service providers can benefit or keep the Internet fair and open by passing Net Neutrality Laws and Bills and amendments . what is Net Neaurality ? The fundamental principle of Net Neurality is that Telecom Operators should not block , slow down or charge consumers extra for using other services as their means of communication. This states that it is wrong to charge users above the regular data rates for using VOIP apps and other internet based communication services. The following counteries have adopted principles of Net Neutrality by passing bills or making law . Brazil – ” Internet Bill of Rights ” makes equal access to internet mandatory in Brazil . USA – Citizens make ‘We the People’ platform to ‘Restore Net Neutrality By Directing the Federal Communications Commission (FCC) to Classify Internet Providers as ‘Common Carriers‘. Therefore not allowing them to either throttle speed by paid prioritization , discriminate in pricing or block any broadband access to legal content . Above facts are from this tech.firstpost.com article. Inspite of the fact that I Support Net Neutrality with all my heart , as a telecom engineer I understand the cost investment made by Telecom operators in providing am efficient communication network to its subscribers ( Access , Network and Application layers ). Therefor I do have my sympathies with the Telcos and to level out the wide ranging conflict between Telcos and ISP ( Internet Service Providers ) , I pen down the following points which reflect the Telecom Operators Problems and also highlight the solutions that can be adopted to counteract the OTT threat . At this stage it is crucial for a telecom Service provider / Operator to enter the Apps market and bring forth a Messenger which is more powerful , interactive and awesome than a OTT application. Fortunately the Operator can always couple this application with his background telecom infrastructure to provide the edge in performance and functionalists . Next we find the way of solving the problems and integrating them together to form a Solution . The Application is designed to close knit with Operator’s own infrastructure hence the crucial entities like Network Address Book , Location Service are synced and fetched from Backend Network . To upgrade the application and provide enganced and enrich service support the I propose the following roadmap. From plain vanilla voice and video calling ( supported by every other OTT application ) our application should progress towards legacy telecom support whihc included PSTN , GSM , ISDN etc . This requires backbone of telecom network and a good setup for media codec conversion to suit various legacy media codecs . To keep the interest of customers it is essential that the application be supported on other popular OTT services like skype , Gtalk . for exmaple a caller should be able to make call from Skype / Gtalk to our application .Multilingual capabilities, support for larger protocol spectrum will just act like icing on the cake . How does it benefit the Operator?? Reuses existing Messaging and Address Book service logic. Update : At the time of writing this post I did not anticipate the wave of change that bring focus on subjects like “net neutrality” , ” Save the internet” and “free internet” . However I see now that I had described this phenomenon way in advance for my time . I use the term legacy telecom system many a times , but have not really described what a legacy system actually is . In my conferences too I am asked to just exactly define a legacy system . Often my clients are surprised to hear what they have in current operation is actually fitted in our own version of definition of ” Legacy system ” . This write up is an attempt to describe the legacy landscape . It also describes its characteristics , elements and transformation . 1G , introduced in 1980s , used analog signals as compared to digital in 2G onward. In 1G voice was modulated to higher frequency and then converted to digital while communication with radio towers . 2.Legacy system have ATM / Frame Relay transmission . This is basically Hardware Specific and results in High Expenses. 3. Legacy systems have POTS / PSTN / ISDN as their access layer technology . Access layer is the first layer of telecom architecture which is responsible for interacting directly with the end use / subscriber . Legacy system technologies are again Hardware Specific , bear High Expenses and offer Low stability. Core layer is the main control hub of the entire telecom architecture . Using old fashioned switches render high CAPEX ( capital Expenditure ) and OPEX ( Operational Expenses ) . These are very Hardware Centric. An IN service, which gives the operators the possibility to screen (allow/barring) the incoming traffic and decide the call routing, especially when the subscribers choose an alternate route/carrier/access network (also called Equal Access) for long distance calls on a call by call basis or pre-selected. An IN service allows subscribers to retain their subscriber number while changing their service provider, location, equipment or type of subscribed telephony service. Both geographic numbers and non-geographic numbers are supported by the NP service. 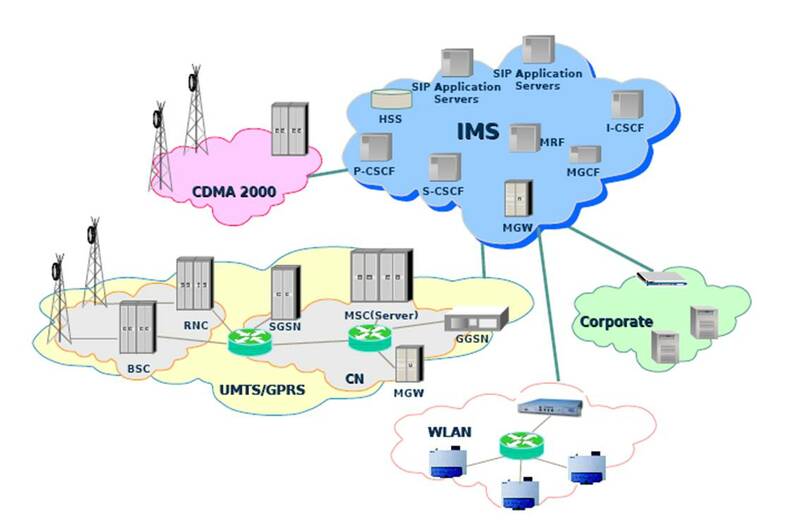 This post particularly describes the gateways in IMS which communication back and forth with a legacy endpoints.To get a overview of IMS itself click here and to get a detailed description of IMS and its architecture click here . 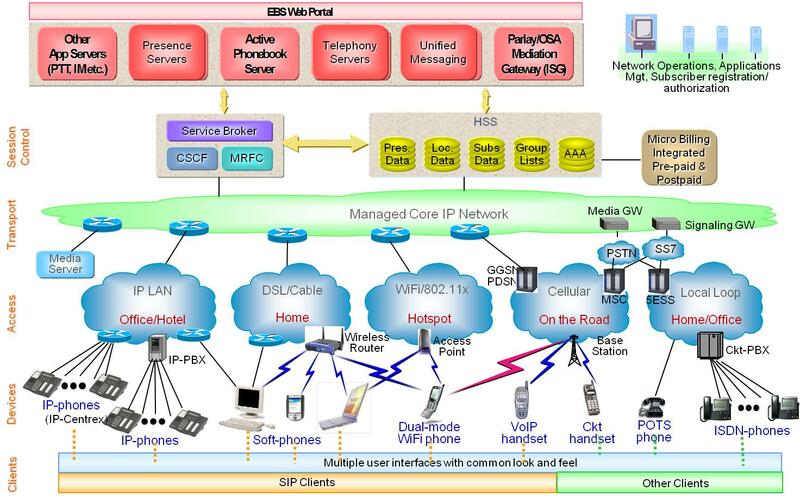 IP Multimedia Service Switching Function is a gateway to provide IN service such s legacy VPN ( Virtual Private Network ). 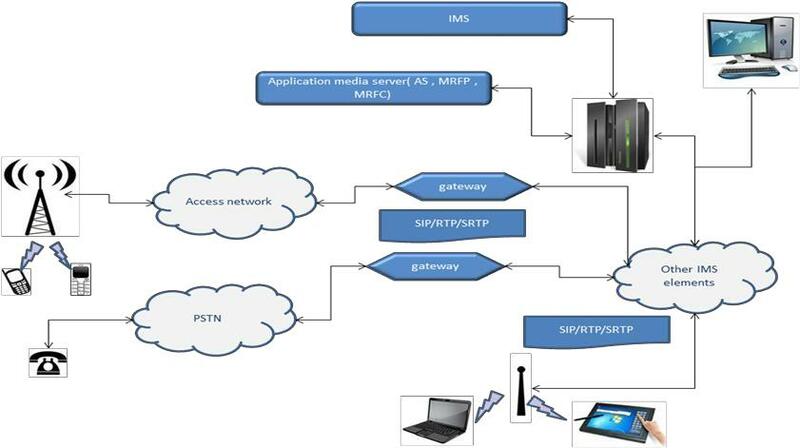 Reverse IP Multimedia Service Switching Function Works on reverse principle to connect IN network to IMS services using IMS services such as FMFM ( find me follow me ) . First, the mobile phone network enabled universal, affordable, personal communication, regardless of your location. Then in the second wave of the communication revolution, the smartphone redefined all aspects of the way we communicate with people, businesses, information and entertainment access whilst on the move. As bandwidth has increased, so has the proliferation of VoIP systems. From the user’s perspective, modern mobile devices deliver the converged, multi-media communication and entertainment experience. VOIP , short for Voice over IP , is called so beacuse it not only converts your voice calls in analog voice into digital packets but also channels voice data through IP networks such as LAN , WAN , Internet etc using the Internet Protocol (IP) . VOIP system on LAN ( Local Area Network ) can use it as its backbone system to establish communication between endpoints . For example : Office communication system within the same enterprise/building . Similarity VOIP over WAN ( Wide Area Network ) use the help of IP PBX and VoIP service provider to enable communication across Internet . For example : OTT providers and internet calls . By using the services of telecom providers in support with above plan it is also possible to land a VOIP call onto a real phone over GSM / PSTN via gateways . Low bandwidth has always been a big concern for IP calls . While a LAN connection ensures good experience , calls over internet or VOIP PBX are not necessarily as neat. 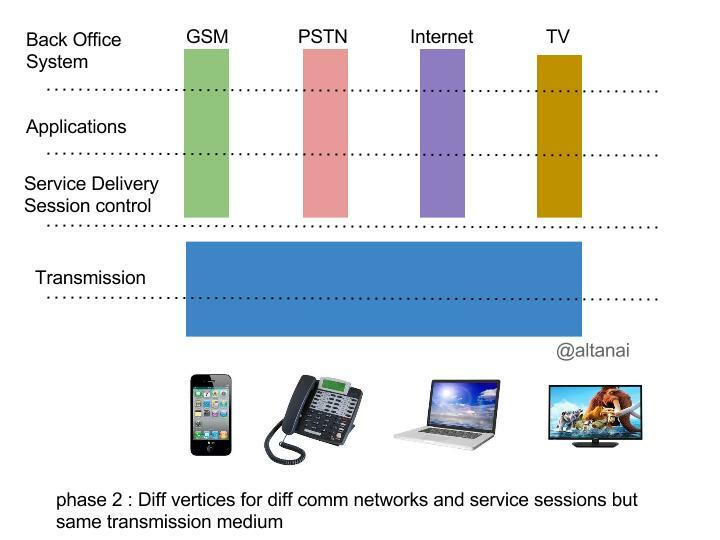 Network switching between different Internet service providers is factor. max simultaneous call ie peak traffic rate can create bottlenecks in comm channel or worse still result in high bandwidth usage . for example as p2p conf call between 5 parties will create a mesh network between each participant resulting in 4 outgoing and 4 incoming channels . replacing old hardware or installing softphone apps on mobiles etc . Will the comm system grow as your business grows ? If yes then how easy will it be to accommodate new users , office location , remote centers etc ? Under low bandwidth condition it is a good idea to switch to low resolution ( in case of video ) and low bandwidth codec ( in case of audio ) . Return of investment is a big factor for SME before making the switch to IP telephony inplace of traditional established system like landline phone and cables. However it is for a fact that once the VOIP comm system is setup , it most certainly reduces call costs by 70%. It is often a necessaity to integrate communication system with CRM ( content realationship management ) systems or Sales management systems . Since most web portals are on IP , VOIP fits very well, with the click to call on webpage itself . Value Added Services , refer to services such as IVR , call recoring , find-me-follo-me , voicemail , re-routing , called ID etc . In short it can add intelligence to the way calls are managed . The solution is usually of the SaaS nature ( software as a service ) which is hosted by the consumer / business unit itself . The service provider offers his infrastructure to the consumer as a service and bills monthly / yearly etc . Hosting the solution system on premise and setting up the infrastructure means more customization and flexibility but it also means more investment and maintenance . On the other hand hosting the solution on cloud is often a quick setup with relatively lower upfront payment. The billing is either carried out per per user basis or based on consumption . The data is synced to cloud servers for storage and can be fetched from there when required such as cloud synced Call-logs or contact-book . 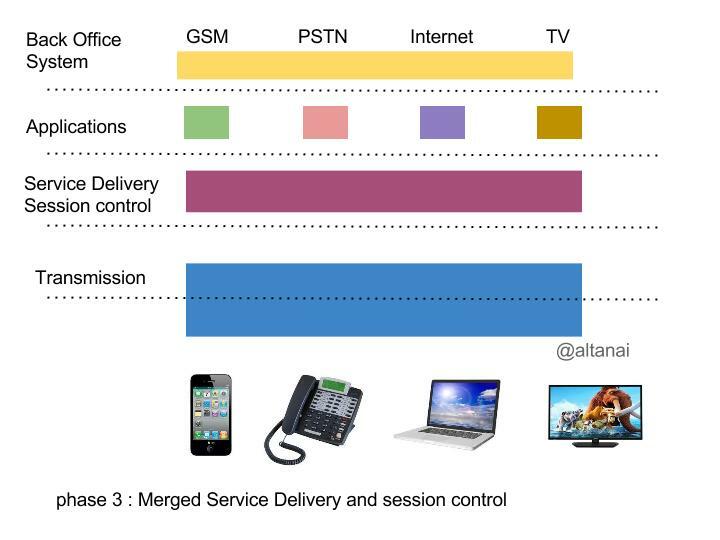 Fixed Mobile Convergence (FMC) stands for integrating user’s fixed desk phone with his mobile phone. Call continuity is a VAS( Value added service ) which lets him to switch calls between different call devices even softphones , mid call also. It has multi-faced advantages such as not missing any call on account of being out of office , having the same call preferences on each device such as blocked numbers , IVR settings etc . Unified Communication refers to the accessibility of all communication and collaboration services from the users call agent ( phone / soft-phone ) . These services can include file transfer , chat , conference , call settings , blocking , white-listing , fax , cloud sync , call logs , called ID , favorites , recording . Read more about Unified communication and collaboration here . Bring your own device is one of the hottest trends in industry almost across all domains where user is expected or is given to option to bring his personal laptop for official use . 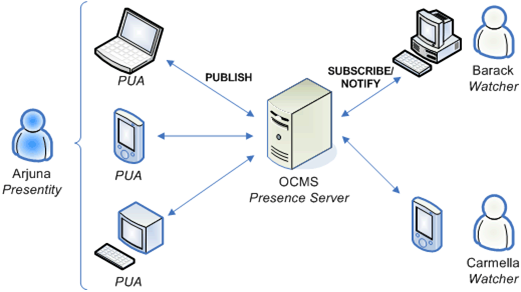 It is the responsibility of enterprise comm system to seamlessly integrate it with in-office communication system and provide the same privileges and security to business critical applications as preset in configuration settings . It increases the flexibility and productivity while keeping the infrastructure cost down. The access endpoints connecte to a single managed core IP network which intercoonectes with IMS core . The back end system not only manages calls and sessions but also registration , billing , operations and adminstartion. The signalling protocols migration like from signalling system 7 (SS7) to session initial protocol (SIP) have been taking place in Telco-Industry. 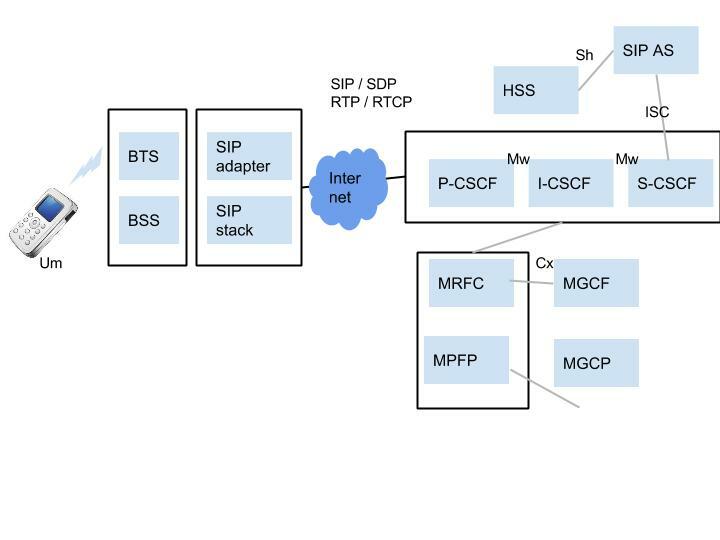 Similarly nodes of legacy network like signal transfer point (STP) of legacy network are being migrated to call session control function (CSCF) of IMS that allows the rapid development and deployment of enhanced, revenue-generating multimedia services for fixed, mobile and cable operators. IMS architecture enables operators to seamlessly run a plethora of next-generation converged services over their fixed, mobile and cable networks, achieve a faster time-to-market for new services and have fewer performance bottlenecks. Delivering Services: Delivering services and applications on a “wherever, however, whenever” basis. Multimedia services: Enabling service providers to offer multimedia services across both next-gen, packet-switched networks and traditional circuit-switched networks. Protocol stack: IMS architecture provides pipes and protocols onto which service providers can attach no. of applications very conveniently. 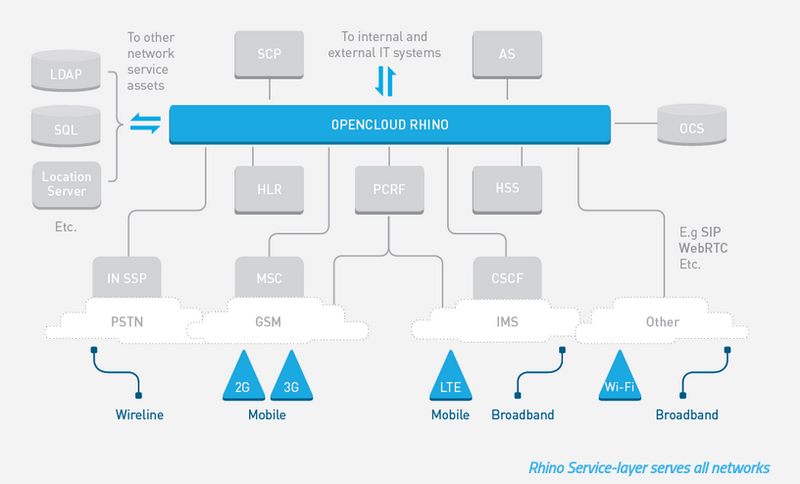 Open Source standard: IMS architecture is based on open standard which makes it possible for different vendors of hardware and software to integrate with each other seamlessly. 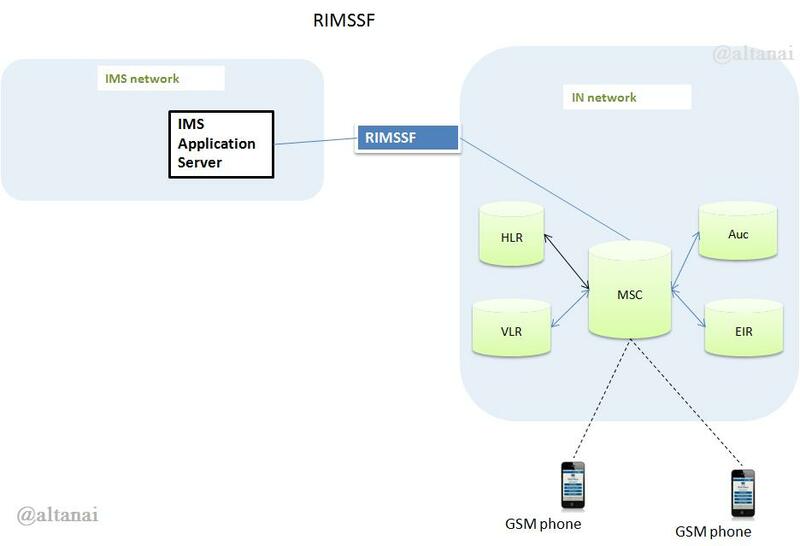 As a subscriber, one of the main benefits of the IMS architecture is the capacity of the network to deliver the same set of services whatever the access network used. This is made possible thanks to the centralization of the service execution process. 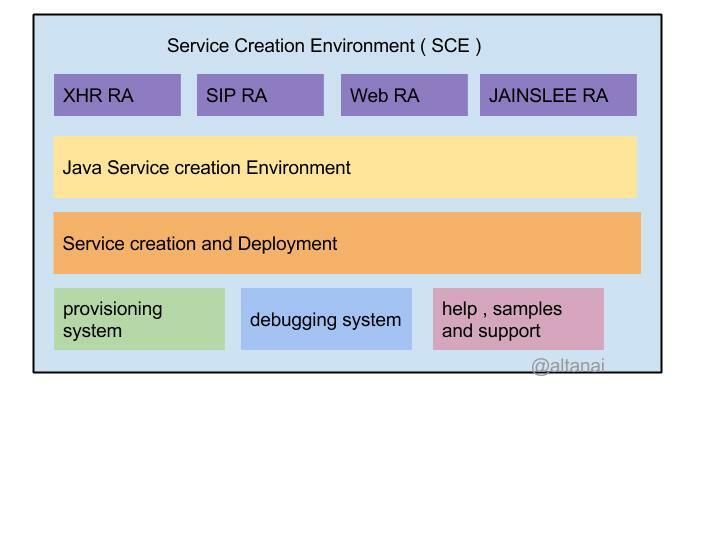 A specific call server of the control plan (called Serving Call Session Control Function, S-CSCF) is responsible for invoking the application servers based on criteria provisioned in the central database. 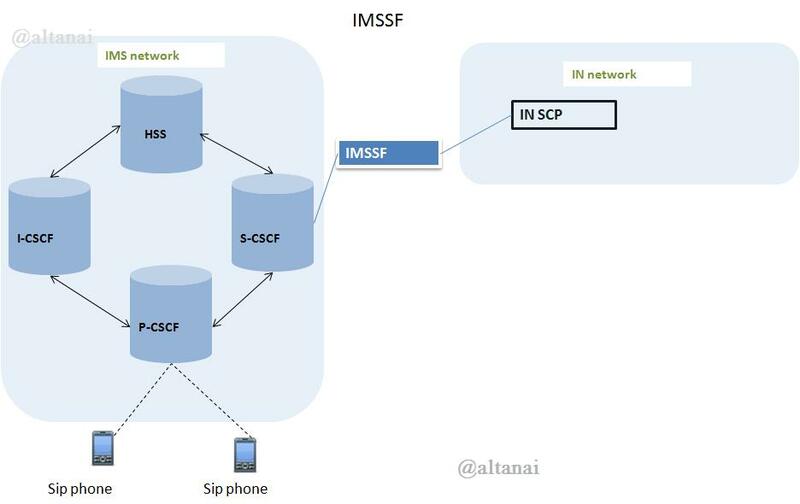 The S-CSCF gets these criteria (called Initial Filter Criteria) during the user’s registration in the IMS network. Voice over IP revolutionized in the Telecommunication space.It also makes your communication experience much richer and nicer with a series of enhanced features and extended possibilities. The no. of user migrating from traditional circuit switched network to IP has been quite substantial in recent years. CSP are embracing VOIP technology as a potential revenue generator and investing huge chunk of money to create value propositions for themselves in VOIP. Saving money is the number-one reason most businesses and households make the switch to a VoIP system, VoIP systems don’t require a phone cabinet or on-site routing equipment- just phones. VoIP also allows users to take advantage of advanced features only available on internet-based phone systems. Features like online call monitoring, and online phone system access to add or configure extensions are also available with VoIP systems. 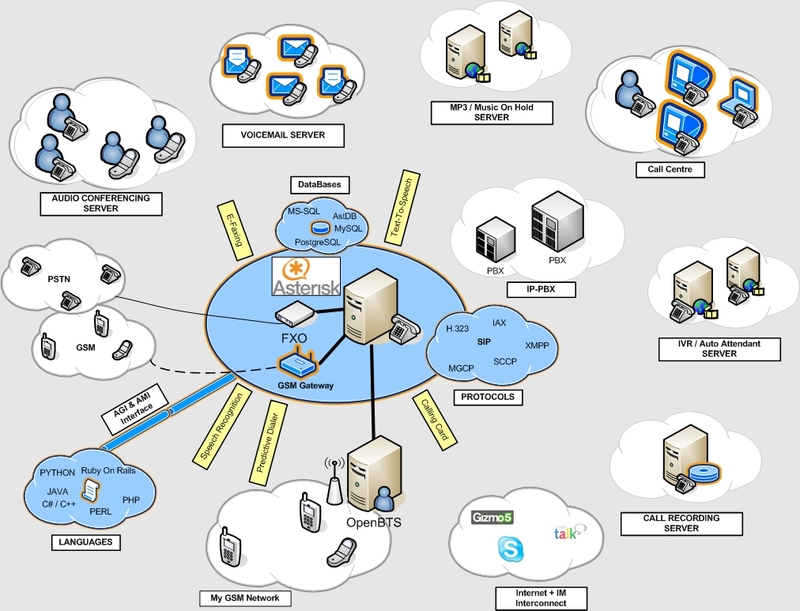 Since VoIP is an internet-based system, user can track and manage their system from their computer. Most VoIP systems allow user to track call volume and call time fairly easily- a feature that can be especially helpful for businesses that bill clients hourly or for time spent on the phone.